Apply a systematic and quantitative approach to manager selection customizable to your specific needs. Selecting new investments is a complex process which requires an understanding of both managers and portfolio fit. Additional ambiguity is introduced to this process with managers reporting performance with unknown and varying assumptions. CUANTSERV tools let you assess on your own terms all managers based on actual return behavior rather than subjective investment descriptions. CUANTSERV applies a systematic approach to manager selection customizable to specific client needs. A traditional asset allocation and factor approach can be used separately or in conjunction. CUANTSERV’s overall manager selection process is made up of five steps which include Benchmark Selection, Regression Analysis, Risk-Return Analysis, Rebalancing and Stress Testing. Benchmark Selection aims at finding the index which best describe manager returns. 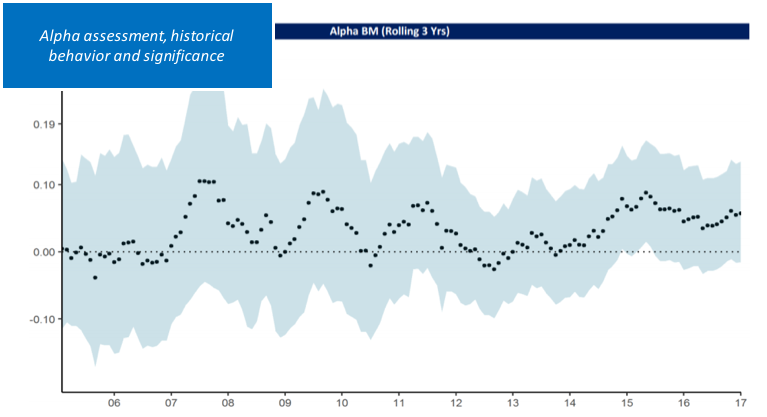 Benchmarks specified by managers may not always reflect the investment style of their funds. This may lead to biased risk and return measurements, unknown exposures and inefficient allocations. Benchmark Selection encompasses a complete database including most well-known indices across asset classes. Regression Analysis attempts to explain manager behavior based on a predefined set of models. It includes analyses of alpha and beta exposures over time to judge on exposure consistency and style drift among others. Alpha and betas are measured in terms of their level, significance and leverage. 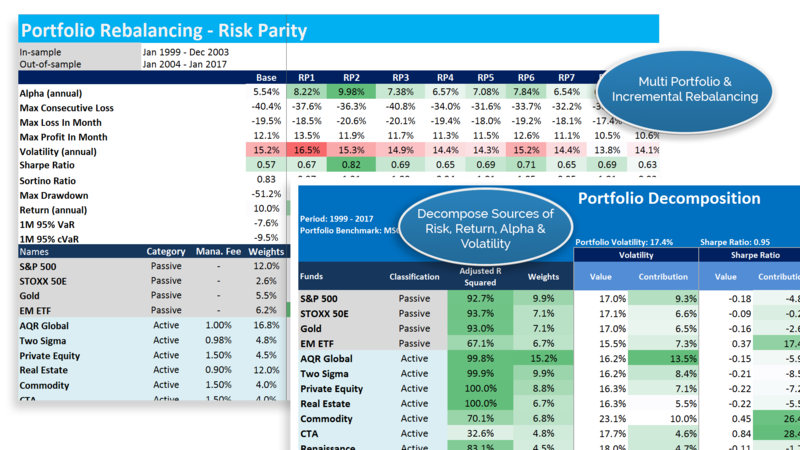 Risk-Return analysis breaks down sources of return in order to find concentrated exposures. It takes Regression Analysis one step further by incorporating regressor correlations and volatility into a single contribution figure. It may be executed on a relative or absolute basis either on a benchmark or model.